2007 - Present: Volunteer Morocco Volunteers have planted more than 5500 trees (Olive, Carob, Fig and Pomegranate Trees) throughout the remote areas of Southwest Morocco. 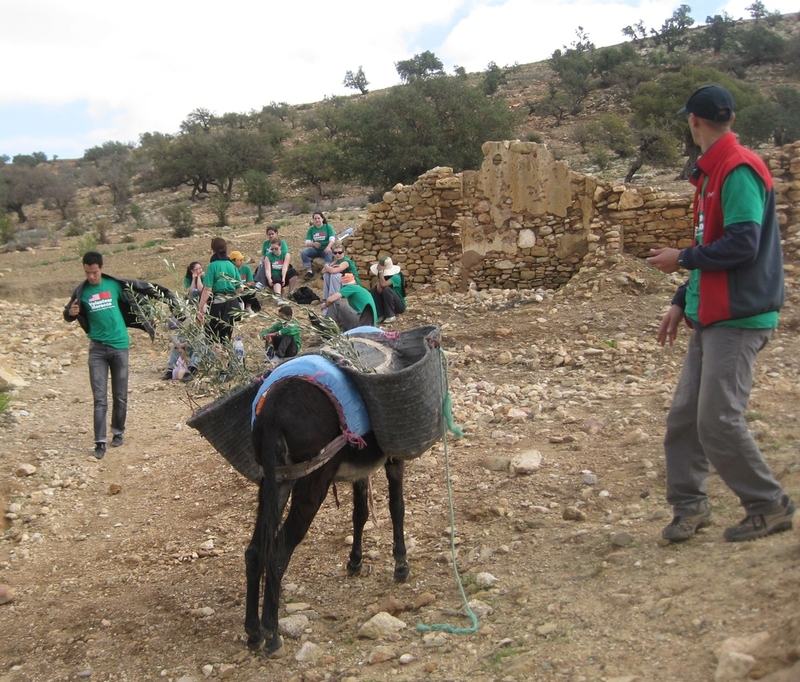 Because of the remoteness of the villages the trees are transported via donkey to the areas in which they were planted. The trees will help with the self-sustainability of the villages since they will provide a food source as well as a source of income from the sale of excess harvests. The trees will also provide much needed shade from the hot summer sun and the roots can help support the soil during rainy periods.